2. 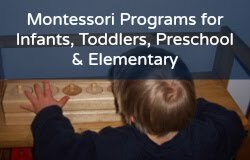 For a brief overview of Montessori art, read "Montessori Philosophy & Practice AGE 3-6+ YEARS—Art" by Michael Olaf. 4. 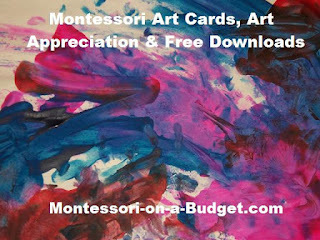 YouTube video clips on Montessori art: Art Appreciation in the Montessori Early Childhood Classroom H E R E! 5. Art books to get from the library or used on Amazon.com: Getting to Know the World's Greatest Artists, a series for children; and Express Yourself! (Art Explorers) a series for children by Joyce Raimondo. 6. A beautiful Montessori "Art at Home" post from The Montessori Child at Home blog. 8. 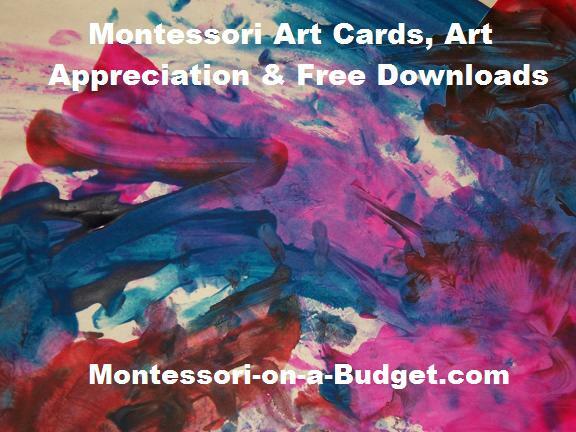 And lots more art resources, links, and downloads at Living Montessori Now's Montessori-Inspired Art Appreciation blog post! Want more art? Check out my other art blog posts H E R E and H E R E ! Personal Note: I love art. Both my parents were artists. My son loves to do art. Sadly, I think art gets left out of many classrooms: it's messy, it's costly, it's not as important as math or language, yada, yada. But art is such a vital part of our lives, whether it is photography, drawing, painting, or collage. 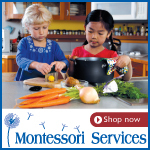 For our children it is a means of self-expression, builds fine motor skills, practical life skills, and it's fun!